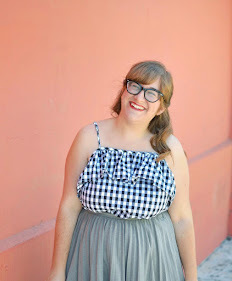 Today's guest post comes courtesy of one of my absolutely favorite people I've met through the Internet. Sammi is another friend from my old Flock Together days, and I've always been a tad obsessed with her style. 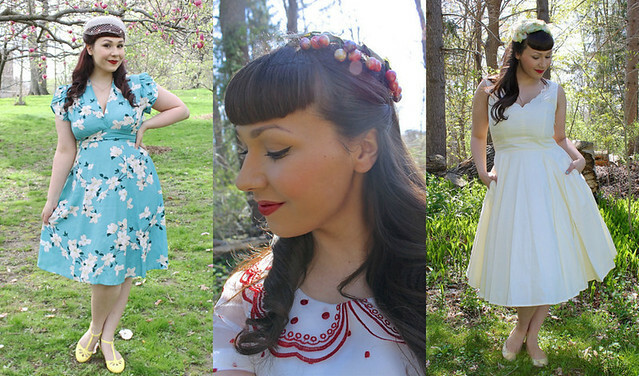 I constantly find myself saving her vintage and vintage-inspired outfits for future inspiration, and she was the first person I went to when I was looking for help with buying a hat. Fortunately for you, Sammi is sharing her expertise on the subject so we can all wear hats together. Hi everyone! For those who don't know me, I'm Sammi from The Soubrette Brunette. I'm super excited to be contributing a guest post here at Room 334 while Elana is away. Today's post was inspired by a conversation I had with Elana not too long ago, when she approached me for some recommendations on where she could find a good boater hat. Elana told me she had been intimidated by boaters in the past and thought she couldn't really wear them, but she ended up finding one she liked and found that she could, in fact, pull it off flawlessly. So I thought I'd like to share some of my favorite hat styles here today to inspire you to try something you may never have considered before! I don't think every style of hat looks good on me – I have a rather large head and round face, so there are a lot of hats that don't work well on me. But through trial and error, I've found a few kinds that I really love and that really fit my needs and style. 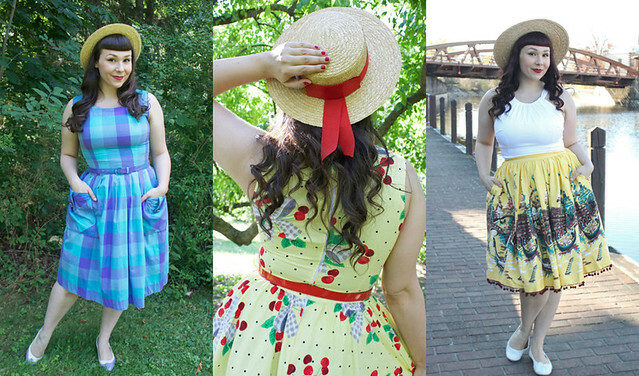 Below, you'll see some outfits I've paired with my favorite hats (and where you can find them!) that are perfect for any summertime activity. My go-to summer hat is, without a doubt, the boater. It feels the most seasonal and looks great with everything from a 1950s dress to shorts and a t-shirt. 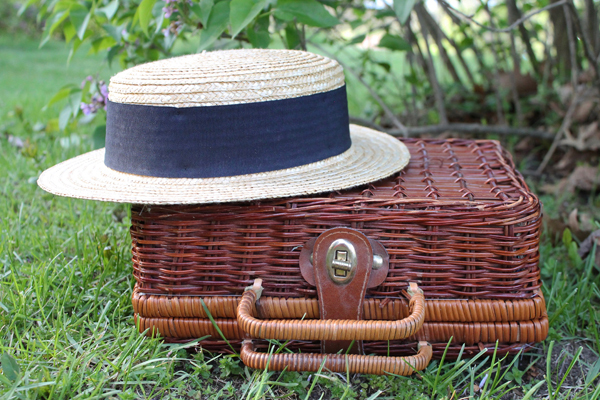 Vintage boater hats tend to be quite expensive, but it's worth keeping an eye on Etsy and eBay for the occasional deal. I've purchased my boaters from both mainstream and niche retailers, but my main requirement is that the crown needs to be a bit bigger and that the brim should be flat and on the wide side. 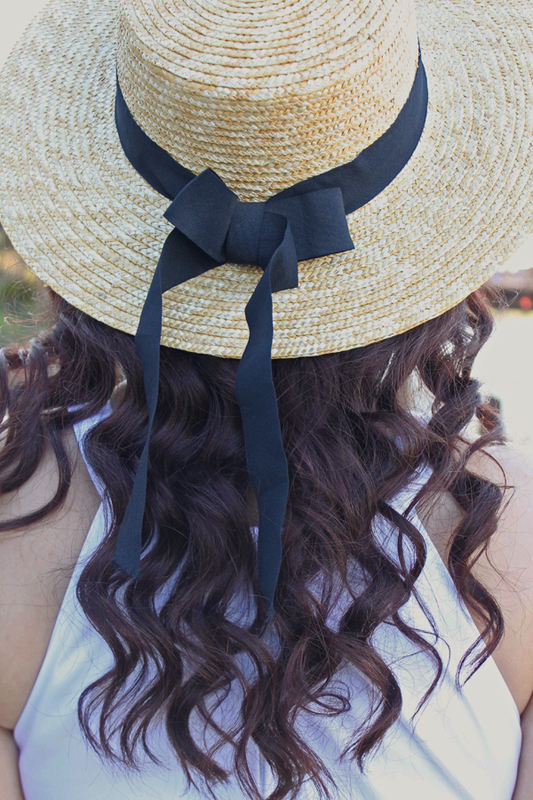 If you can find one with a cute ribbon, all the better, but it'd be pretty easy to attach one to any plain boater. I'm not a huge fan of floppy hats, only because I don't think they look that great on me, but I'm going to try and embrace them this summer. 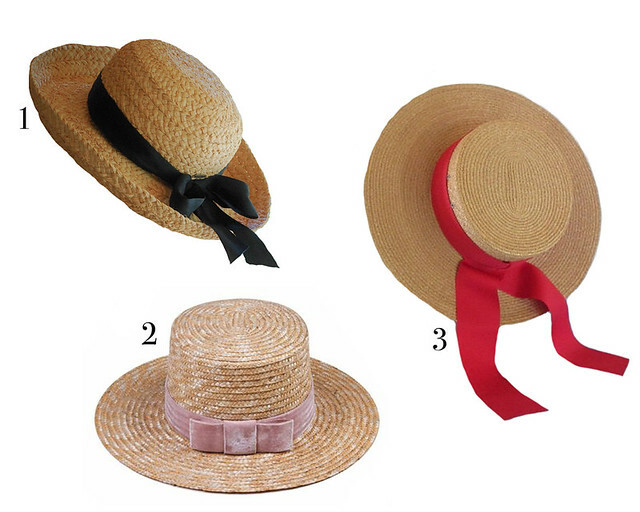 I do, however, like colored straw hats that retain their shape a bit. And the wider the brim, the better. I actually kind of like those sun hats with the cutesy summer sayings on them, too. Right now, I have only a couple of wide-brimmed hats that aren't technically boaters, but I think I may need to remedy this in the near future. I've found that major department stores, specialty retailers, and Amazon are often good places to go for these kinds of hats. 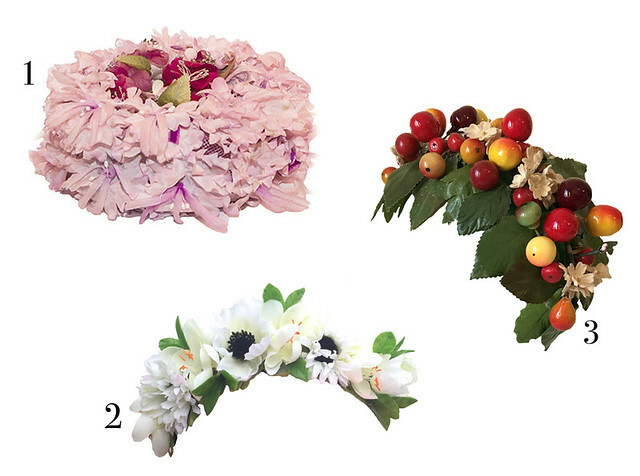 When I want pretty over practical, I'll usually opt for a darling vintage hat covered in flowers, fruit, or netting. These are hats I'll wear year-round, but they seem especially appropriate for spring and summer when I want to spend every waking moment frolicking in gardens. And while flower crowns aren't as popular as they used to be, I'll occasionally wear one when I want to get back to nature without getting too fancy. Etsy and eBay are definitely my first stops when I'm looking to add pieces like these to my collection. They may not get as much wear as the other kinds of hats I own, but they're essential for 1950s- and 1960s-style dresses! 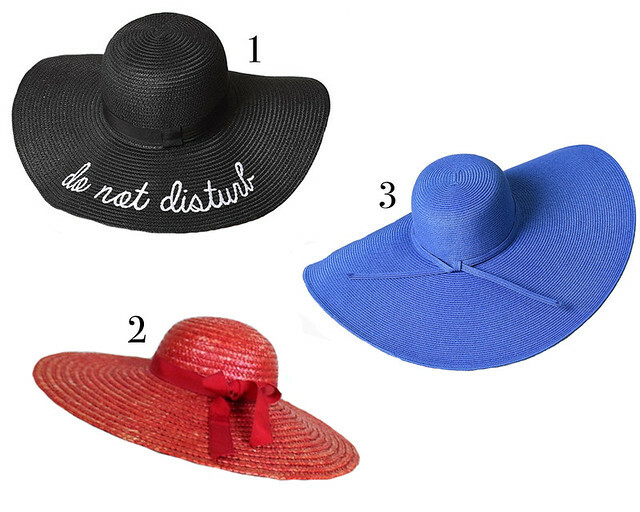 Do you have a favorite style of hat or summer accessory? What about a trend you've always wanted to try but aren't quite sure you can pull it off? Let us know in the comments! OHMYGOODNESS love this hat guide, thanks for sharing!